The idea of the United Way was born in Denver in 1887 with a purpose of having a "unified" effort to raise funds once a year through workforce campaigns. Today, it has grown into a national network of more than 1,300 locally governed organizations that work to create lasting positive changes in communities and people's lives. Building on more than a century of service as the nation's preeminent community-based fundraiser, United Way engages the community to identify the underlying causes of the most significant local issues, develops strategies and pulls together financial and human resources to address them, and measures the results. 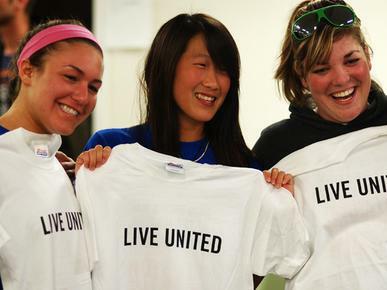 United Way of America is the national organization dedicated to leading the United Way movement. While local United Ways tackle issues based on local needs, common focus areas include helping children and youth succeed, improving access to health care, promoting self-sufficiency, and strengthening families. Click on their web site, www.unitedway.org, for more information or to make a pledge online.